Shuttlecock Fern Hardy deciduous fern. Forms clumps of upright fronds, creating a shuttlecock shaped plant. 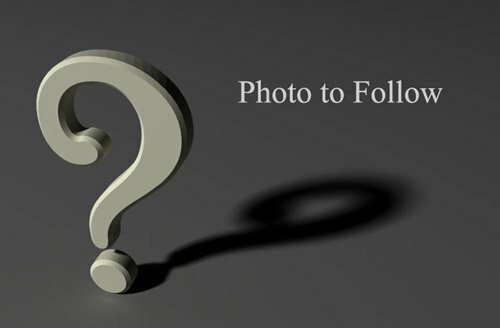 Moist soils in shade or semi-shade. Likes space. 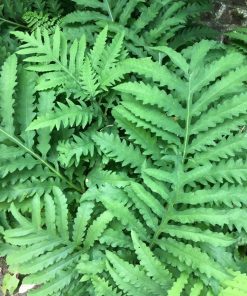 Cinnamon Fern – Large deciduous edible fern with a thick rhizome that occasionally can form a small trunk. Tall arching graceful fronds appear in spring. The emerging croziers are collected for food. Later in the season the spore bearing fronds appear, covered in cinnamon coloured spores. Fronds can reach 100cm. 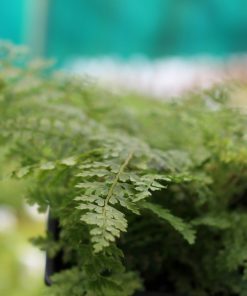 Royal Fern – Forms a clump of tall, arching fronds of bright green divided leaves. New growth is purplish in colour and the stems remain red-shaded. Spores carried on separate fronds. 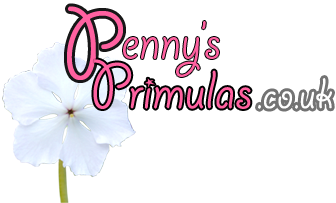 Ideal for moist to wet soil and will tolerate full sun in cooler situations. Deciduous, the fronds can grow to 150cm. 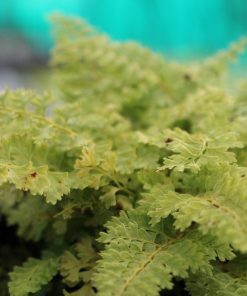 Japanese Tassle Fern Hardy semi-evergreen fern with pale-green fronds, with yellow bristles, growing up to 60cm. Fronds darken with age. Moist well-drained soil in semi-shade. 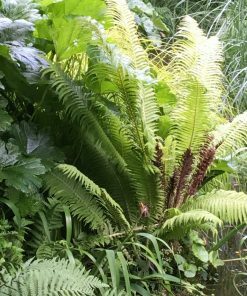 Tassel Fern – A small, easy-to-grow fern for woodland edges in sun or part shade. 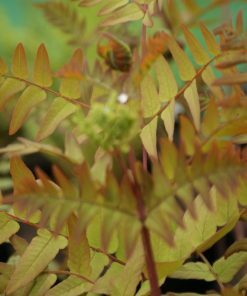 Grows as a mound of attractive arching leathery, sharp-toothed, triangular fronds. 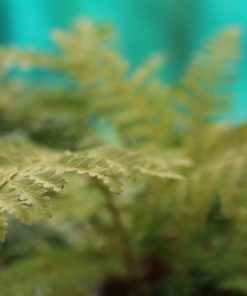 Hardy and evergreen in mild winter regions. A non-spreading species growing to 40cm. 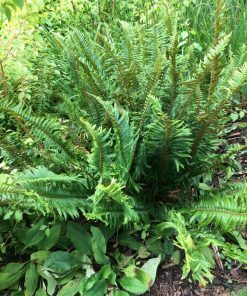 Easy dwarf evergreen growing to 25cm, semi-evergreen in milder areas. Grows in moist soils in shade to partial sun. 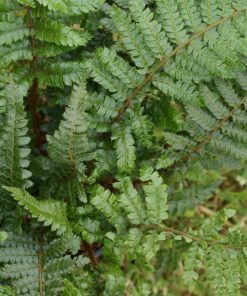 Soft-Shield Fern Hardy semi-evergreen fern with tall, upright, narrow fronds up to 90cm. Forms rosettes of soft dissected fronds. Moist soil in partial shade, or partially sunny site.